People all over the world are calling for more democracy and transparency in government, business, and in life. There is no doubt that this is a positive sign — a sign that people feel empowered enough to create a better world. In my last book The Twelfth Insight, I set out to explain this call for reform — and to suggest that it is based on a growing spiritual awakening. The narrative develops amid a stubborn financial downturn, and an escalation of East-West tension and terrorist activity. Sound familiar? Based on a growing consensus about the psychological nature of spirituality, the book describes a series of steps through which determined individuals can effectively promote reform by discovering a new “lived” spiritual consciousness. This can automatically halt the escalating fear and conflict in the world. As the book proceeds, the reader moves through an experiential journey that shows precisely how one can find this spiritual connection. And how to integrate all that comes with it: an ongoing SYNCHRONISTIC FLOW, a guiding Intuition, and a personal mission that feels destined. In the end, the book embraces and explains how Spiritual Connection allows anyone to “prove to themselves that spirituality works.” This connection also unleashes a contagion of integrity and inspiration that can reach those in fear, and lift them out of all hateful ideologies, especially religious ones — creating a true, positive reform. Remember, the effectiveness of Gandhi and Martin Luther King Jr.? Nothing is more powerful than non-violent protest. The only trouble is, at the same moment authentic protest for freedom and transparency are being expressed, other factions are always seeking to take advantage of the situation for less noble reasons. Extreme forces sometimes pay desperate people to attack the demonstrators. Even some Democratic governments will lie blatantly about their agendas for political reasons. In other cases, entrenched interests pay the demonstrators to become violent. Real reform must be diligent in holding to its non-violent ethics. Its leaders and participants must continually call for a higher type of interaction that values the truth. As the book shows, real reform has to center itself in an ethical stance of truth and integrity in all its actions and goals. 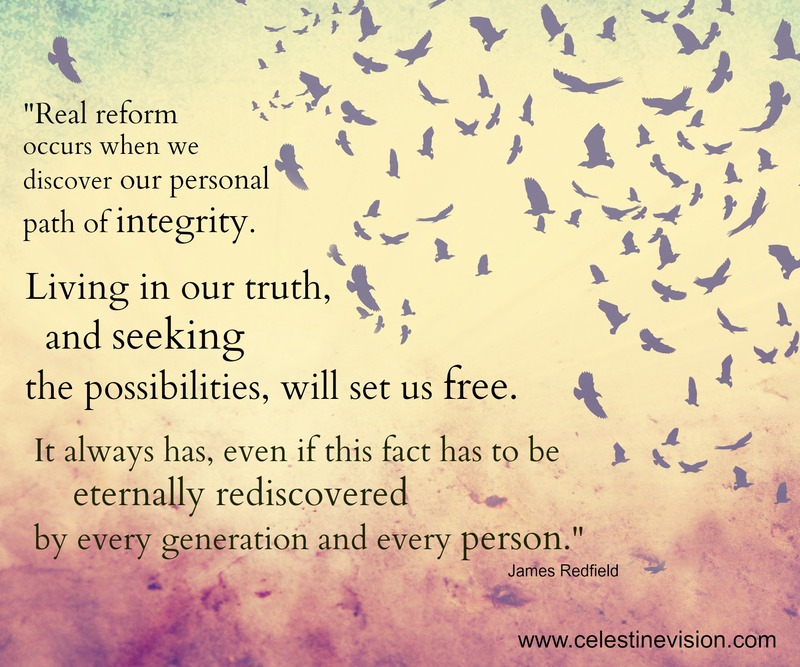 Real reform occurs when we discover how our lives can significantly improve when we find our personal path of integrity and honor. Therefore, that is why I call what is happening a spiritual awakening. It turns out that even a small turn towards integrity pays immediate dividends. Why? It is because when we seek truth with integrity, our feeling of spiritual centeredness grows deeper and broader. It strikes a vein of love and gives us clarity that shows us our best truth to tell others, even as we know our truth and mission will evolve. 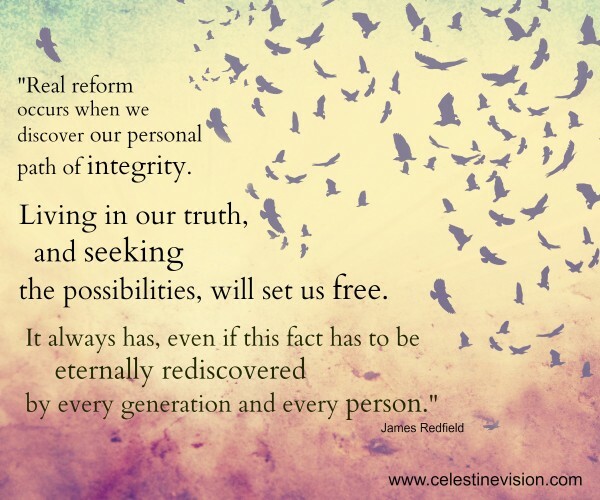 Seeking to tell our truth with integrity, as best we know it, will set us free. It always has, even if this fact has to be eternally rediscovered by every generation and every person.